This species belongs to the Order Falconiformes and the Family Falconidae, and has the scientific name Falco naumanni. It is a small falcon (length 27-33 cm, wingspan 63-72 cm), is mainly insectivorous, and is closely linked during the breeding season to urban areas or other human settlements. 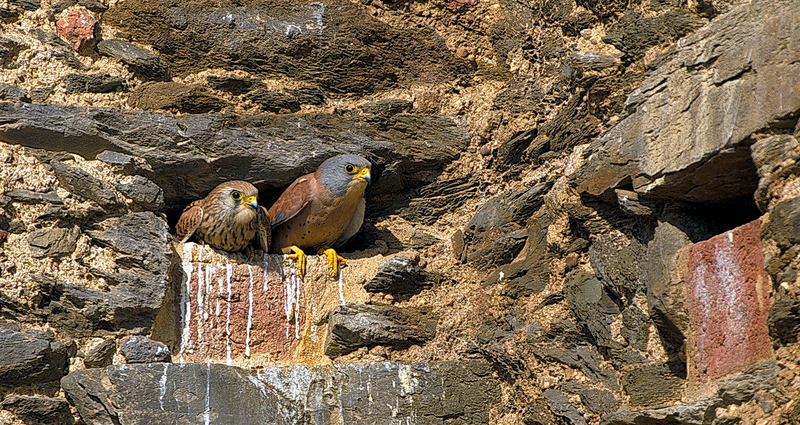 It is a diurnal migratory raptor – although in some parts of southern Spain, Italy and north-west Africa is present throughout the year – that occupies areas with hot climates with the presence of more or less natural steppe and cultivated areas. It prefers grazing pasture or dry arable land for foraging, selecting field borders, stubble and fallow land. It feeds mainly on invertebrates, large or medium-sized insects such as grasshoppers, crickets or beetles, and less frequently small mammals (mice and voles..) and small reptiles (lizards) that are captured from the air. Thanks to this diet, they perform a notable role in the control of agricultural pests. It is a colonial species associated in the breeding season with urban settings or isolated structures in rural areas, nesting in buildings, especially in holes in the walls or under roof tiles. In Extremadura, the clutch (of between 4 to 5 eggs) is laid at the end of April or early May, with an incubation period of 28 days. Both sexes share incubation duties. The young fledge at around 35 days old. There is a high level of philopatry (57% of juveniles will return to their natal colonies) and a high faithfulness to breeding colonies (72% of adults). However, almost 75% of individuals will change their nest or mate annually. The population leaves for its winter quarters between September and October, returning to the breeding areas towards February. Pre-migratory dispersal can occur, with movements from natal colonies averaging 200 km, usually northwards, before starting the southward migration. After breeding and before the autumn migration to Africa, there is a positive selection for stubble cereal fields, fallow and margins of cultivated land; a period poorly understood but probably of great importance to juvenile survival. At a global level, this is a Western Palearctic species, with a breeding range extending from the Mediterranean basin, from the Iberian Peninsula to the Balkans, the basins of the Black and Caspian Seas, the Near East, reaching the steppes of Asia and northern China. The wintering area, although still not well known, includes areas in east and southern Africa for Asian populations and western Africa (Nigeria, Cameroon and Senegal) for European ones. It is estimated that the world population is fewer than 100,000 pairs, of which between 30,000 and 38,000 are in Europe, where it was one of the most abundant raptors until suffering a major decline during the second half of the 20th century. The Spanish breeding populations are found in the central and south-western half of the peninsula, mainly in Extremadura, Andalucia, Castille y Leon and Castille-la Mancha, Beyond the peninsula it breeds in Melilla, but not in Ceuta, the Balearics and the Canary Islands. The main threat is loss of feeding habitat in breeding and dispersal areas because of significant changes in the traditional agricultural systems such as the conversion of dry-country arable to irrigation and the indiscriminate use of insecticides, which affects the staple prey. 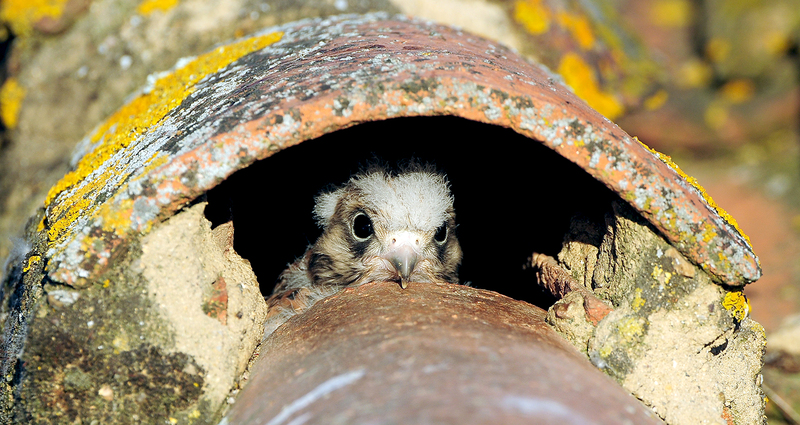 The species is also adversely affected by the removal of cavities for breeding, caused by both the abandonment and the restoration of buildings holding breeding colonies, in the latter, disturbance during building work also causes nest desertion. Finally, competition with other species for nest cavities, nest robbery, illegal hunting or electrocution are threats which can affect the species under certain circumstances. 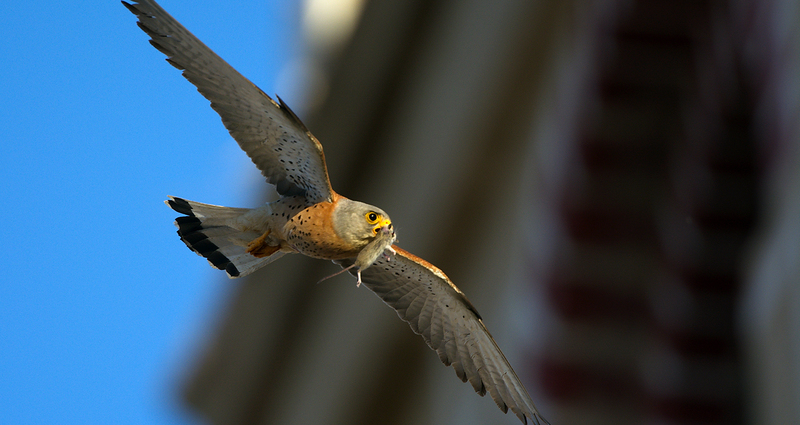 At the European level the lesser kestrel is included in Annex 1 of the Birds Directive, in the list of the Ornis Committee for birds considered as priorities for funding by LIFE. 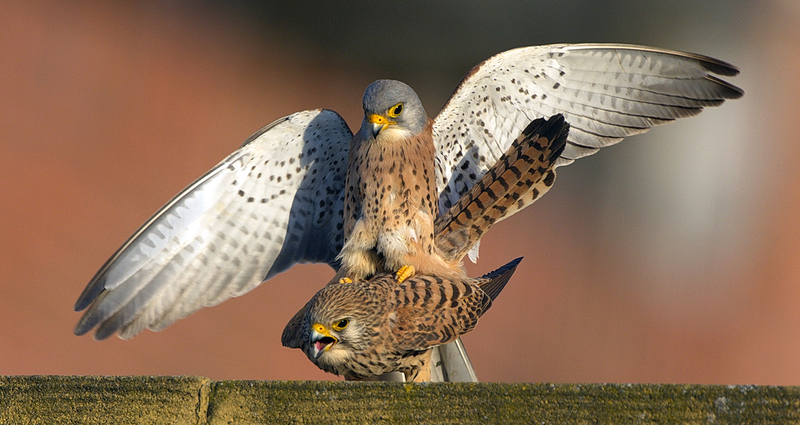 There is an Action Plan in place which includes the framework of the priority actions (Action Plan for the lesser kestrel Falco naumanni in the European Union, 2010). It is catalogued as “Least Concern” in the European Birds Red List (BirdLife International – IUCN 2015). In Spain, the species is in the List of Wild Species under “Special Protection” (Royal Decree 139/2011, of 4th February) and is included in the category of “Vulnerable” in the Red Data Book for Birds in Spain (2003). In Extremadura, the species is catalogued as “Sensitive to habitat alteration” in the Regional Catalogue of Threatened Species in Extremadura (Decree 37/2001, of 6th March). 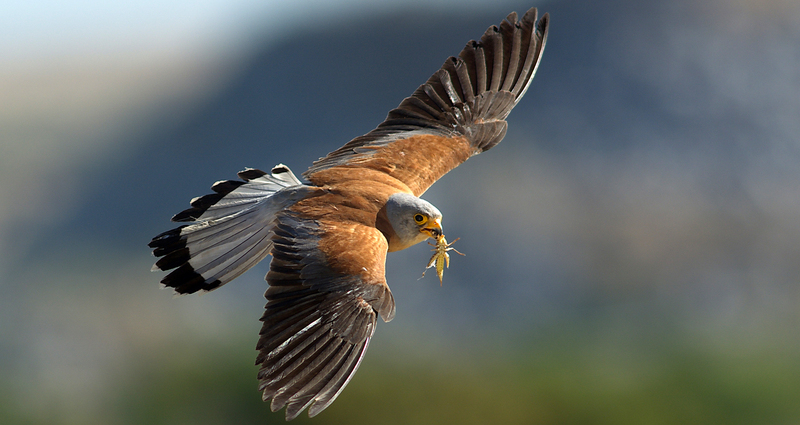 In addition, the Decree 110/2015 of 19th May, which regulates the European ecological network Natura 2000, provides specific measures for the conservation of steppe species and urban birds (both encapsulating lesser kestrels). 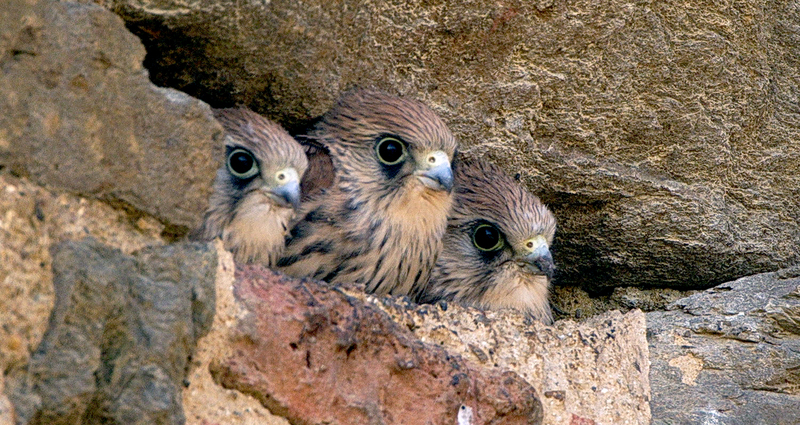 Furthermore, in the Management Plan of the urban SPAs designated for lesser kestrel in Extremadura there is a zonation of these SPAs, measures for the species and “an inventory of important buildings for the conservation of lesser kestrel”.